The 2019 SAFETY4SEA Athens Forum is due on Wednesday, 2nd of October in Eugenides Foundation, followed by cocktail reception and you might be interested in! This is an event aiming at a target group of Technical, Safety, Operations & Marine departments of Ship Operators and other industry stakeholders. For more information about the 2019 SAFETY4SEA Awards, please click here. Duration This will be a FULL DAY event (09:00 – 17:30) followed by cocktail reception. Details of all previous SAFETY4SEA events may be found here. Thank you for your interest in the SAFETY4SEA Athens Forum! In order to register for the event please fill in all info required on the following form. Registration for the event is required for each delegate in a SEPARATE Form. If you need to register more than one person please submit the form again by filling additional data for separate persons completing the same procedure. Event Details: SAFETY4SEA Athens Forum is scheduled for WED 2nd of October 2019 at the Eugenides Foundation, Athens. It will be a full day event from 09:00 to 17:30 followed by cocktail reception. Organizers reserve the right to alter/change any part of the program/ event for any reason. Costs: Event participation is FREE of charge including attendance of the event and beverages/snacks offered. 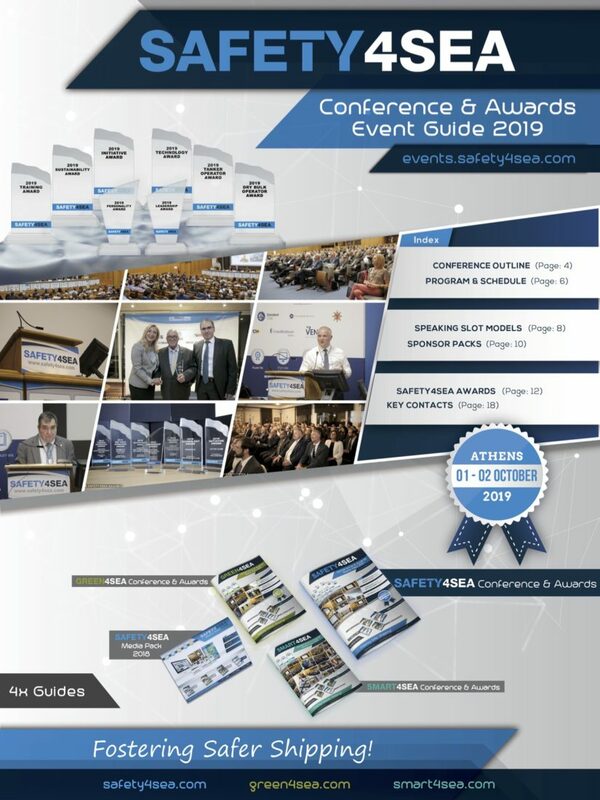 Attendance Certificates and Presentations will be available at SAFETY4SEA subscribers after the event. Registration: All registrations will be confirmed by reply e-mail. There will be a reminder e-mail closer to the event for all registrations to the e-mail specified in the registration Form. SAFETY4SEA Awards: Award ceremony will be take place at the evening before the Conference. Co-ordination with Organizers: Participation in the forum implies full co-ordination in line with instructions provided by organizers before and during the conference (including registration) at the venue. Questions to panels: Questions to be submitted to panels have been prioritized as follows: 1st priority will be given to questions submitted online on the event website before the event [ relevant form will be available online upon program finalization ], 2nd priority will be given to questions submitted online during the conference either by e-mail or via Facebook and Twitter, using hashtag #SAFETY4SEA, with other options to be considered if time permits. Who can I contact for more information on the event? To register you should fill in the online registration form and follow the instructions contained in the Registration Form. Is the event free to attend for the delegates? Attendance to the event is FREE subject to online registration. In case you are interested, please complete the online registration form and confirm with the organizers. FREE attendance includes coffee, snacks and drinks during breaks plus lunch at the event venue. Attendance does NOT include accommodation and/or travelling or parking which should be paid in by the delegates as decided/applicable. Speaker Presentations, Conference DVD and Certificates of attendance will be available through the organizers after the event, at no additional cost, ONLY to SAFETY4SEA subscribers. What happens if I am unable to attend despite being registered? Appreciate if you could inform the organizers by e-mail as soon as possible before the event. Where is the event being held and how do I get there? 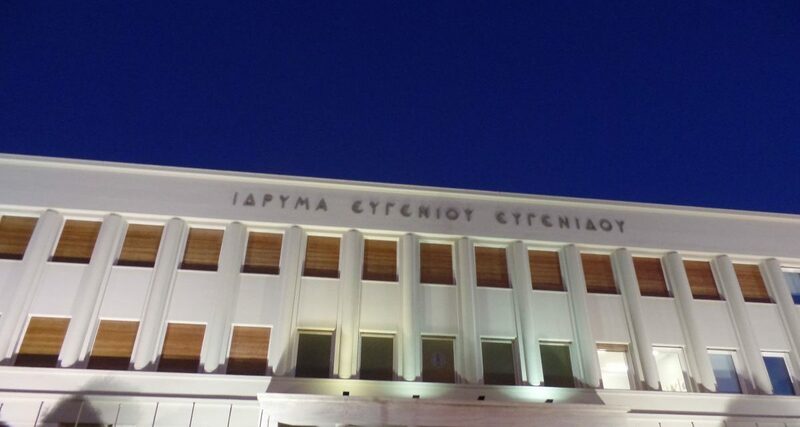 The event location is Eugenides Foundation, Athens. You may find instructions here. What happens when I get to the event venue? When you arrive at the event please go to the registration desk and collect your badge which should be worn at all times. Welcome coffee and snacks are available during registration and breaks. How may I evaluate and comment on the event? You may comment with the organizers at any time, during or after the event. Furthermore an event evaluation form will be available online after the event to complete anonymously any comments you may have. How can I order Speaker Presentations, Conference DVD or Certificates of Attendance? Speaker Presentations and Certificates of attendance will be available through the organizers after the event, at no additional cost, ONLY to SAFETY4SEA subscribers. Conference DVD may be available at additional cost to those interested.